Nothing fills me with greater pleasure than hunting for new accessories for the house. Whether it’s a new rug, cushions or just a simple vase, I love hunting around and seeing what’s on offer. We are about to embark on a new chapter with our home with a loft conversion and I’m both excited and daunted by the choices that will confront us. So many new decisions, fun and exciting ones hopefully, here’s hoping. 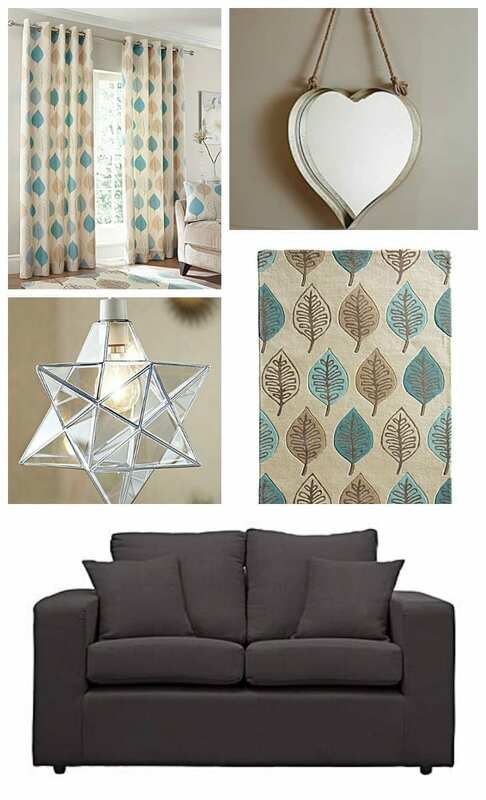 So, I was really thrilled to discover a new online store – House of Bath and in particular their curtain range. I’ve been looking around for new inspiration for window dressings and I’m very keen on finding something inspiring. These Modern Leaf curtains in duck egg are both classic and contemporary without being too outlandish. The colourways suit many a modern home and decor, and with a few coordinating accessories can really bring a living space to life. Blue certainly hasn’t diminished in terms of recent trends, with indigo finding itself very popular this Autumn/Winter, but duck egg and paler blues have their place too and shouldn’t be discounted. I’ve chosen a few other key pieces from House of Bath to show you, and I’m particularly liking the mirror. As well as fitting with this kind of look, it could work in many a contemporary home, either rustic, modern country or industrial. Such a versatile item has to be taken into account, and I may have just found it in my shopping basket! What do you think of this look? Are you a fan of the cooler blue hue?